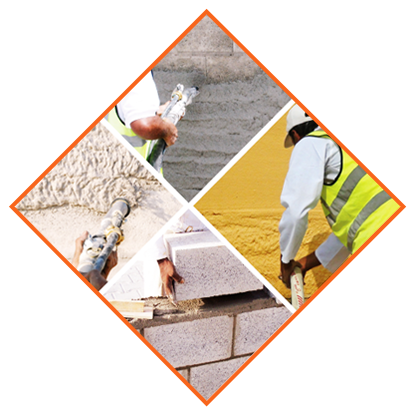 WP 200 Render / plaster for internal / external concrete block walls. 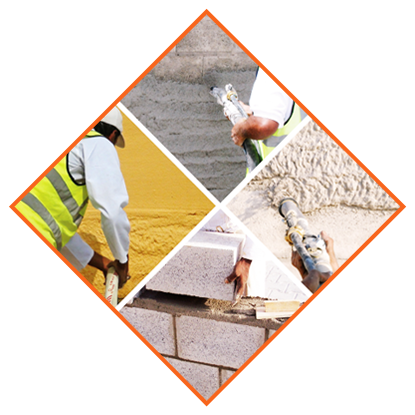 WP 210 Render / plaster for internal / external AAC / concrete block walls. WP 230 Render for external plinth areas. 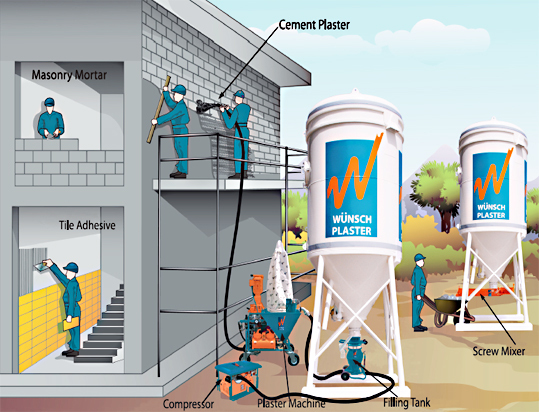 WP 240 Render / plaster for high strength (> 15 MPa) requirements. WP 250 Fine thin coat plaster for ceilings and rough cement plaster surfaces.